Spritam, a treatment for epilepsy is the first 3D printed pill to be approved by USA’s Food and Drug Administration. 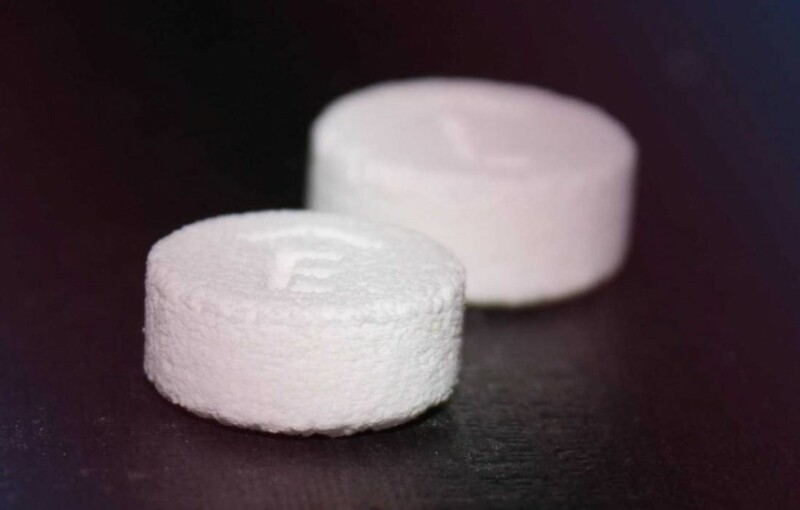 Aprecia Pharmaceuticals has created the, formerly difficult to dissolve tablets containing the substance levetiracetam, now more porous and a lot easier to swallow, especially by children and elderly people, thus constituting advances in 3D printing extremely significant. The pharmaceutical company has acquired the exclusive rights for this cutting edge new technology, ZipDose, developed in MIT and featuring 3D printed pills made of consecutive layers of the active ingredient, containing a bigger dose of said ingredient while remaining smaller in size than older pills of the same type. “By combining 3DP technology with a highly-prescribed epilepsy treatment, SPRITAM is designed to fill a need for patients who struggle with their current medication experience,” Chief Executive Officer of Aprecia has stated.